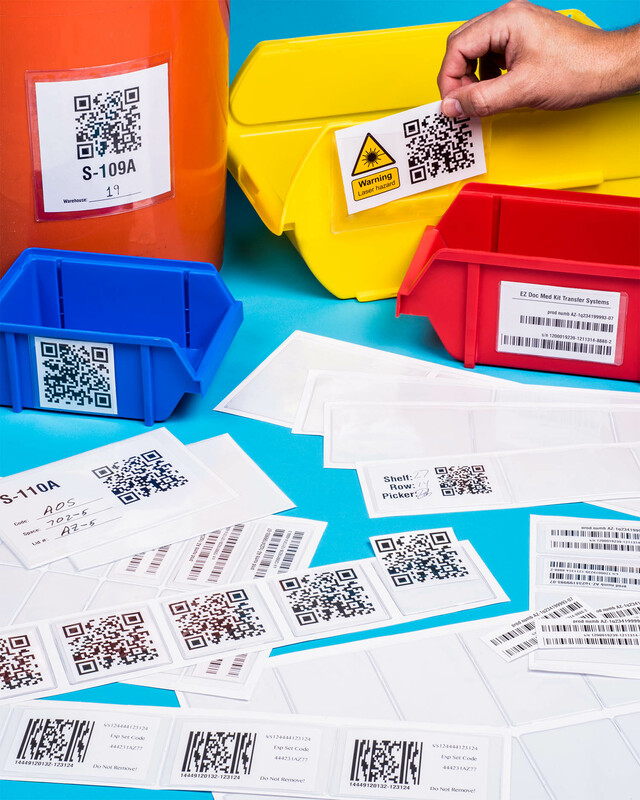 A full line of vinyl pouches that only need to be applied once to provide a clean, attractive, and barcode scan-able label holder is available for immediate shipment from Vinylenvelope.com of Dighton, Massachusetts. Press-on Vinyl Envelopes are available off-the-shelf for typical 24 hour shipment from an extensive inventory of 37 different sizes and opening styles. Made of heavy 8-gauge, 8-mil clear flexible vinyl, they let users see the inserted card, label or tag, scan barcodes, and easily replace them without pasting over others or removing adhesives and smearing messy inks. Ideally suited for material handling, inventory management, and parts storage applications, Press-on Vinyl Envelopes are available for labels and tags from 1” x 2” up to 11” x 17”. These self-adhesive pockets, sleeves, pouches, and holders have a permanent pressure sensitive adhesive backing that sticks to almost any clean, smooth flat surface. Press-On Vinyl Envelopes are available at www.vinylenvelope.com and custom sizes, special adhesives and large quantities are also offered.